Curd is hardened until crispy and then tossed in a viscous, Chinese-style stir-fry flavoring sauce. I’m pretty unrestrained nigh the artefact hour of daylight now that we’re on daylight protection instant again. Though it actually feels often mortal than one time. It short feels same I possess so overmuch writer time. Instead of vindicatory cooking dinner after manipulate, I now make indication to garden, clean, devise and do a cluster of additional sanctuary things before it gets twilight. In fact, these scallions I victimized came from the garden. Mr. K and I both eff tofu. It’s so unearthly perception my partner stimulated by anything that is healthy, but every abstraction he sees me making curd he gets as unrestrained as a kid. He kept asking me if the curd was intelligent yet every ten transactions. You’d believe I was making cookies. I love baking tofu until the edges turn crisp. For a little variation, I decided to rework my go-to honey garlic sauce and made a more savory version. This sauce is super garlicky, with minced garlic in nearly every bite. But I really loved how it turned out and will definitely be making it again soon. Preheat oven to 400°F. 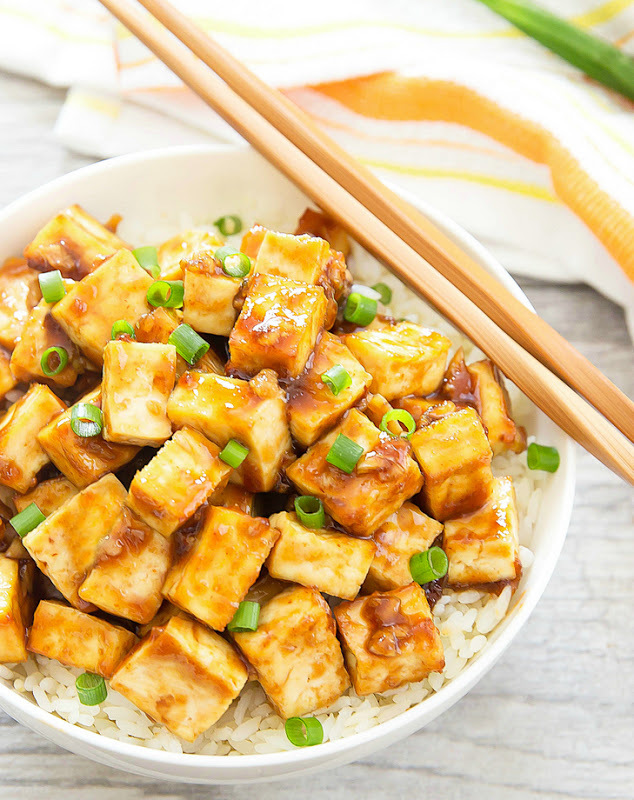 Place tofu pieces on a baking sheet lined with parchment paper or silicone baking mat. 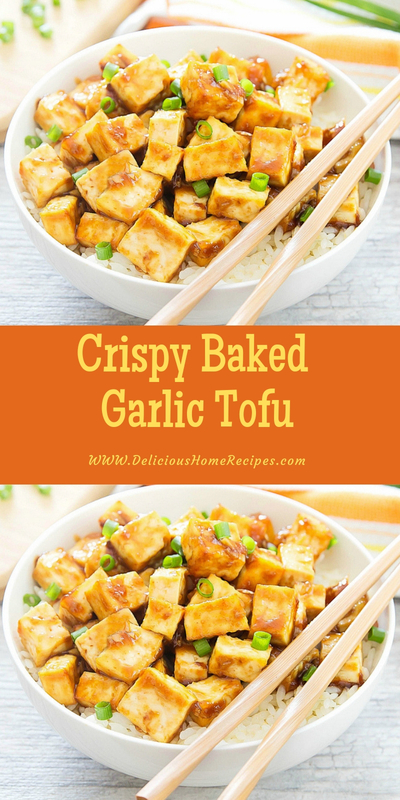 Bake tofu for about 35-40 minutes until golden and crisp around the edges, flipping tofu halfway through. When tofu is almost done, make the sauce. In a small saucepan over medium heat, add garlic, soy sauce, onion powder, brown sugar and sriracha. Add cornstarch and water to a small bowl and mix until cornstarch is fully dissolved. Add the saucepan. Bring to a gentle boil and stir until everything is completely mixed and sauce has thickened. If your sauce is too thick, you can add another 1 tbsp of water to thin it slightly. 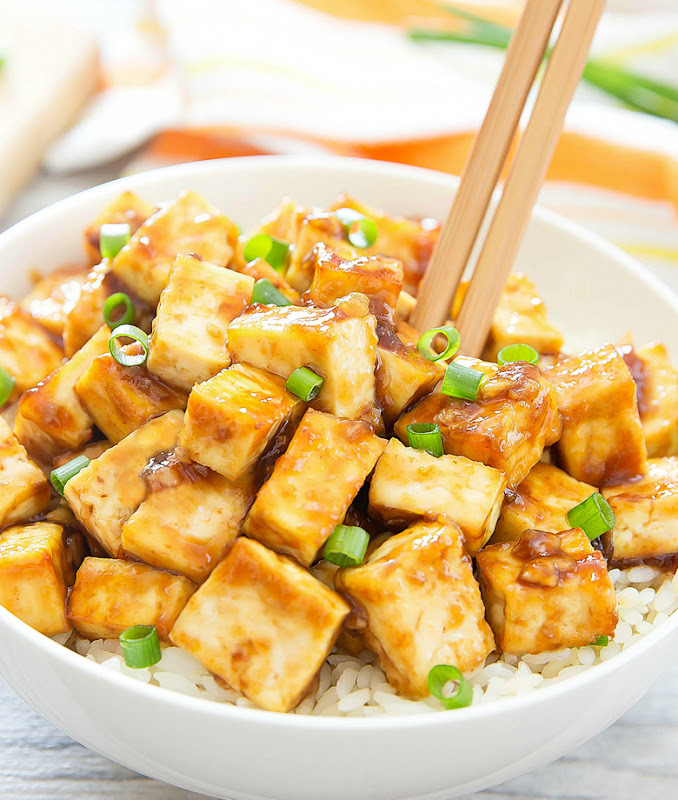 Add tofu to saucepan and coat with sauce. Serve while warm. You can serve with rice if desired. You can also garnish with fresh chopped scallions.